a. kadir's turkish translation of bertold brecht's poem "fragen eines lesenden arbeiters" read by fırat tanış into reconstructed "verdict" from ibrahim maalouf. @inan6666: You definitely deserve better equipments. I'm not sure whether if it may work or not but you should consider crowdfunding using something like Patreon. iste bir suru olay sana ve bir suru soru ! yoksa kayaları taşıyan krallar mı?? @onurbolaca: haklısınız. bir çözüm düşüneceğim. Öylesine içten.. İnsanda tekrar tekrar dinleme isteği uyandırıyor.. Emeğinize sağlık. @inan6666: It will be great! @phil-mcwalter: i agree; the quality is very poor, but i am doing these with an old speaker and i can hardly hear what i mix. these all are rough sketches here, which i plan to master later better. idea here is to bring brecht's historical & philosophical pov with epic power of ibrahim maalouf's work, which originally includes chaotic sound of masses and a slight, but seriously rebellious, anachronic and repetitive melodic structure. thank you for the feedback. 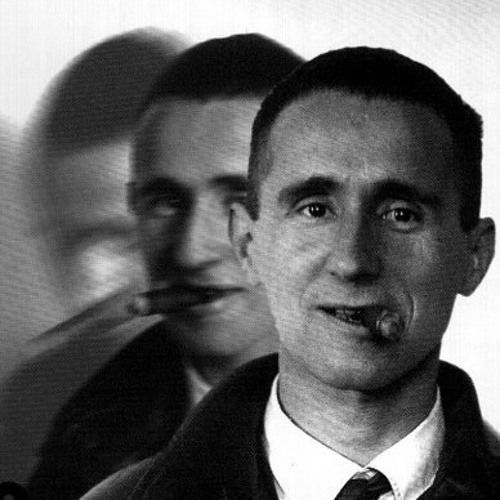 This sounds a little distorted on my headphones, which is a shame as the sounds behind the narration are really interesting and evocative of the raw power of Brecht. Great stuff!